"This is a traditional Southern salad. Best if eaten immediately upon preparing." Coarsely crumble the saltines into a medium bowl. 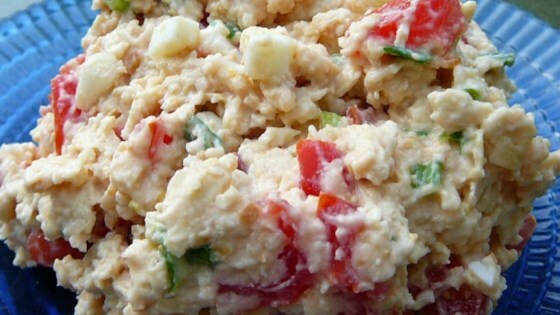 Mix in the tomato, onions and mayonnaise. Stir in the hard-cooked egg, and season with salt and pepper. Everyone, while they thought it was weird, loved it enough to have seconds! I think I'll add crisp bacon bits next time.